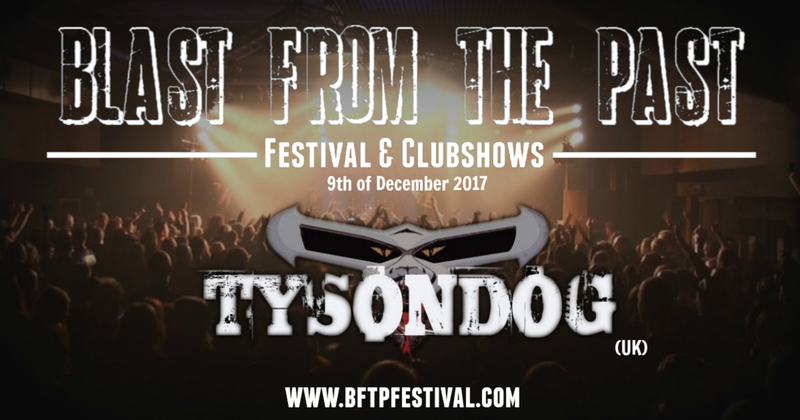 Tysondog (UK) ADDED TO THE LINE UP ON DECEMBER 9TH ! An English heavy metal band formed in Newcastle, in the year 1983 during the NWOBHM boom. They quickly signed to Neat Records and issued their debut single ‘Eat the Rich’ that same year. 1984 saw their first full-length, ‘Beware of the Dog,’ which was produced by none other than Cronos of Venom. Cronos even perfomed backing vocals on the track “Demon” (listen for him in the chorus). An EP, ‘Shoot to Kill’ was released in 1985, and was followed the next year by the ‘Crimes of Insanity’ LP, which, along with the single and Alice Cooper cover ‘School’s Out,’ Thrash metal had come to dominate the metal underground, and Tysondog with Castle released ‘Painted Heroes’ in 2002, a collection of both full-length albums and the ‘Shoot to Kill’ EP.